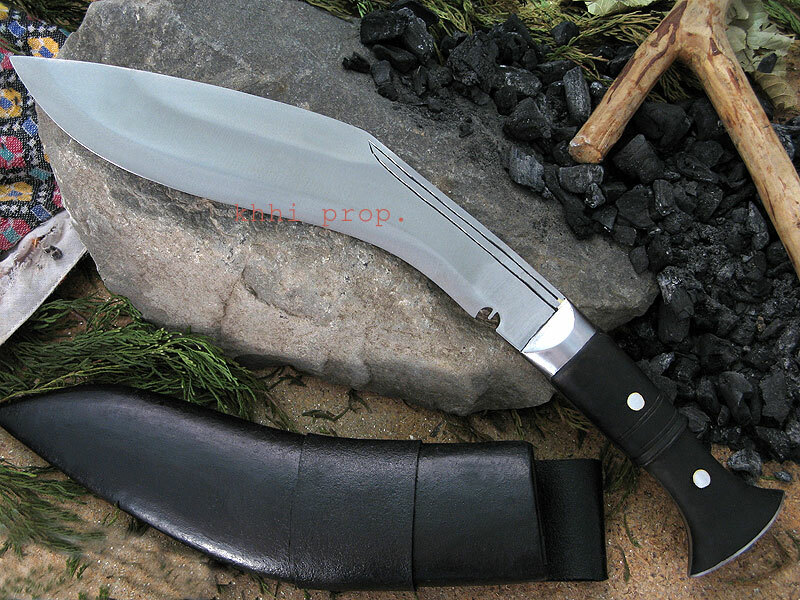 A farmer's first choice kukri without a thought when it comes to undertaking long and heavy stressful task..
Panawal POWER unp (unpolished) kukri >> heavy duty farmer's knife..
A heavy version of the standard ones built for heavy duty work. A farmer’s first choice kukri without a thought when it comes to undertaking long and heavy stressful task. Heavy blade generates heavy blow resulting greater score, inflicting deeper cut; lessening time and saving energy - this is what a Panawal Power is all about. The balance is such that though heavy it is well balanced thus easier to work with. 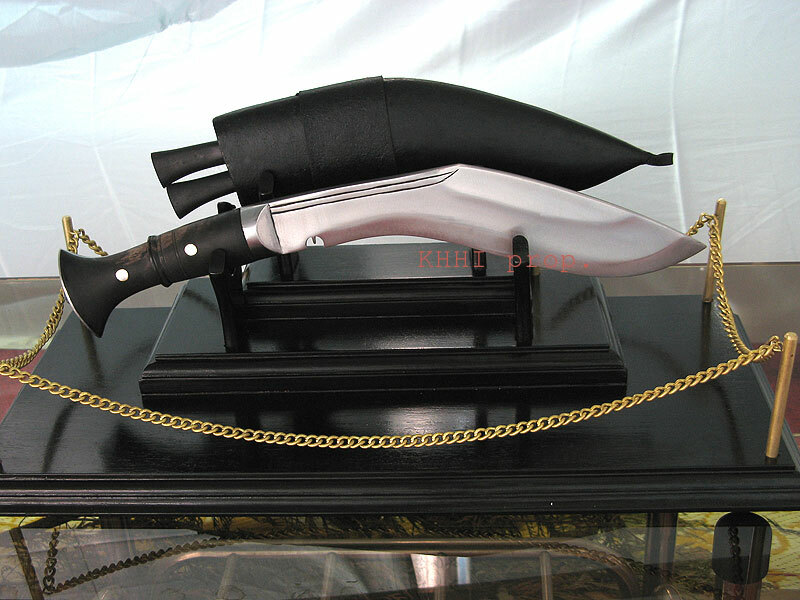 It is a typical all-purpose utility knife specially made for rough use. The unpolished feature of the kukri also represents the old historic kukris used by farmers and villagers for their daily domestic work as they were hardly polished. Kukris like these have made productive impact in the life of rural farmers as a pure cutting tool since time immemorial. Panawal Power has an unfinished (not shiny) blade having semi fuller or layer (hump) running across the main (above) panel of the blade. It is made so to give more strength and durability to the width of the blade while in use and also to cut down unnecessary weight of the blade. The curvature will support the flat surface of the blade by evenly distributing the impact-force created when striking into a target. It is also a display of true craftsmanship as it is the hardest to craft. Moreover the unpolished blade skips the long machinery process of getting polished and as a result the temper stays on resulting in a stronger edge/bevel and additional sharpness. A lanyard facility is also in place in the scabbard incase one needs to tie the khukuri around his thigh. 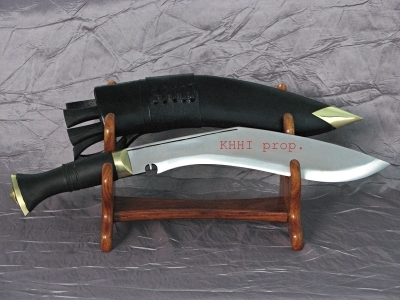 This type of kukri is recommended for heavy stressful work.